When the Black River Killer EP came out, I assumed that it consisted of the leftovers from the Furr sessions. But as the new deluxe edition of Furr makes clear, you still had a lot of unused material. What do you think that was behind that prolific nature that you had during that period? It was just one of those times in my life where I was kind cut loose from a lot of stuff. And so I spent a lot of time writing and recording. I was kind of living in the place where I was recording, so I would basically work all night. It was a pretty transient lifestyle I had at that time, and that just kind of made it easy to get in that kind of creative mindset. What are some of the folk traditions that informed the music you wrote and recorded in and around the time of making Furr? I think I was just sort of building on the sort of storytelling, folk kind of thing that Springsteen took from Dylan, and that Dylan took from Guthrie and Guthrie took from … there’s just a long line of people you can take from and copy or sort of make your own or whatever. And Neil Young is in there, too; all of the the acoustic storytellers. But I think that, lyrically, I was more attuned to traditional kinds of folk songs. I think a lot of those lyrics have metaphorical stories – or just straight up narratives – going on. But then some of them are sort of poetic in nature. I was drawing from a lot of different places. 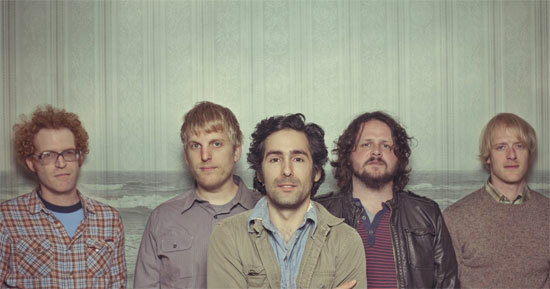 Most every album Blitzen Trapper has made had earned positive critical notices. Why do you think that Furr stands out from among them? I think that for most bands, their early work is admired more, regardless. And I think the song “Furr” itself is kind of timeless; people connect with it all the time, depending on whenever they discover it. I think that’s part of why Furr has maintained its value. The Black River Killer EP is another one that people discover, and then it seems like it’s just always been there. You’re lucky if you can write any songs that have that that kind of value to them. I listen to some records that came out ten years ago, and I think, “Oh, that sounds really 2008.” That’s not the case with Furr. It doesn’t have dated pop trappings. Did you set out to make a record that had a timeless vibe? I didn’t really think about it. The instrumentation that I was using was just the stuff that I had around. The whole idea of it being timeless is tricky because what makes it that way? Is it the lack of technology or the use of other specific technology? At least in production, “timeless” seems to allude to an early- to mid-1970s kind of aesthetic. And I’ve always listened to a lot of classic rock and ‘70s stuff. So, I think that that informed a lot of it, and that’s kind of the sound that we call “timeless” now. I think it has to do with sort of the golden age of recording when it was all on tape, all the effects were sort of naturally occurring. People using actual springs for the reverb–there’s this sort of earthy quality to that music. And I think it’s easy to put that label on it. On this tour that you’re going to be performing Furr start to finish, along with other songs. Are you going to do any of the bonus tracks as well? We’re going to do a few bonus tracks, a few covers, and then we’ll probably do a few other things. Going through all these songs, I’ve realized that we’ve only played about half the record over the years. So we’re adding a bunch of songs we haven’t played in a long time, or ever. We’re trying to do them as close to the record as possible, and a lot of them have jams at the end. So any time we run up against something that we can elongate, we’re doing that. And there’s a lot of that kind of material on Furr. It will be cool, I think. And it will be fun for people who know the record. Once the tour is over, what’s next for the band? I don’t know. I’m not sure. Nothing, at this point. We’re just focusing on this tour.